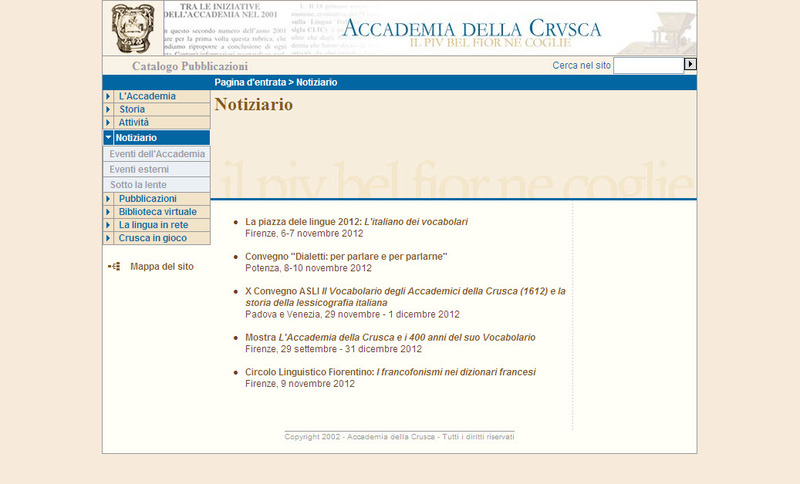 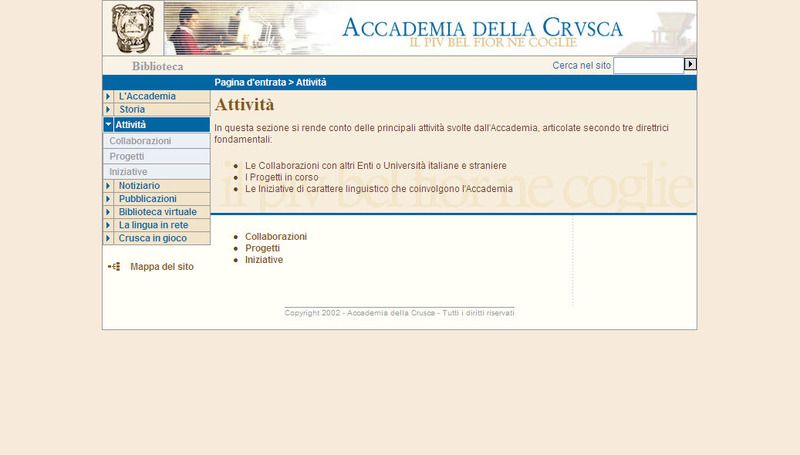 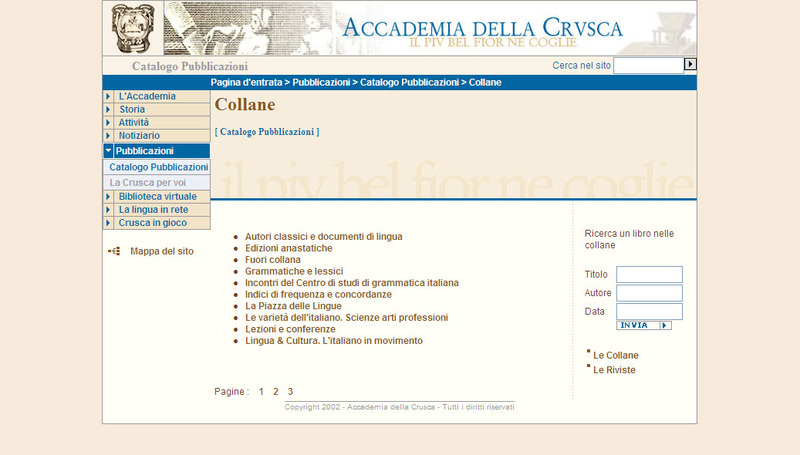 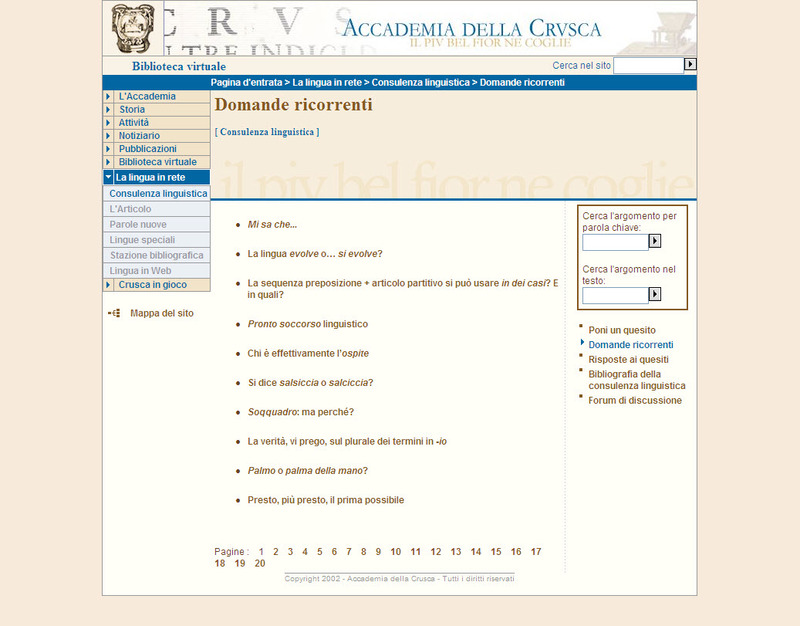 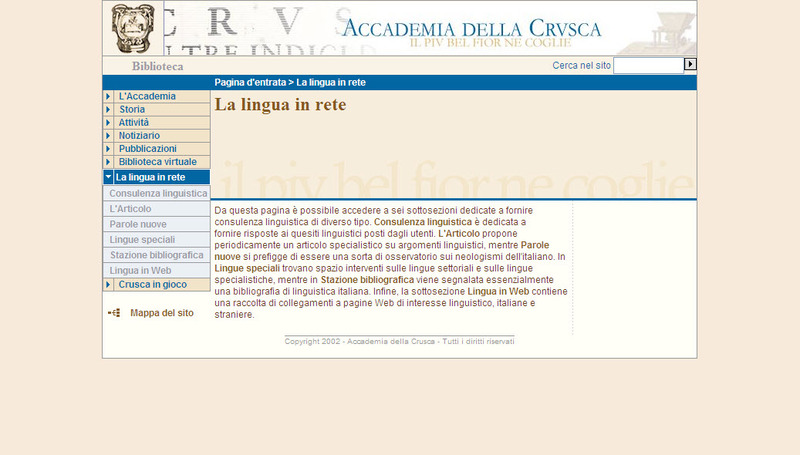 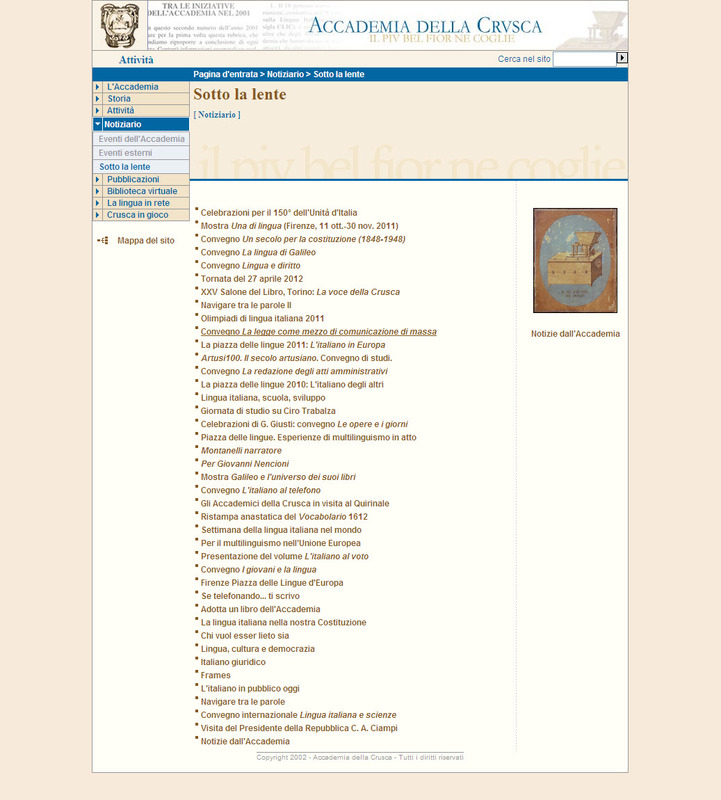 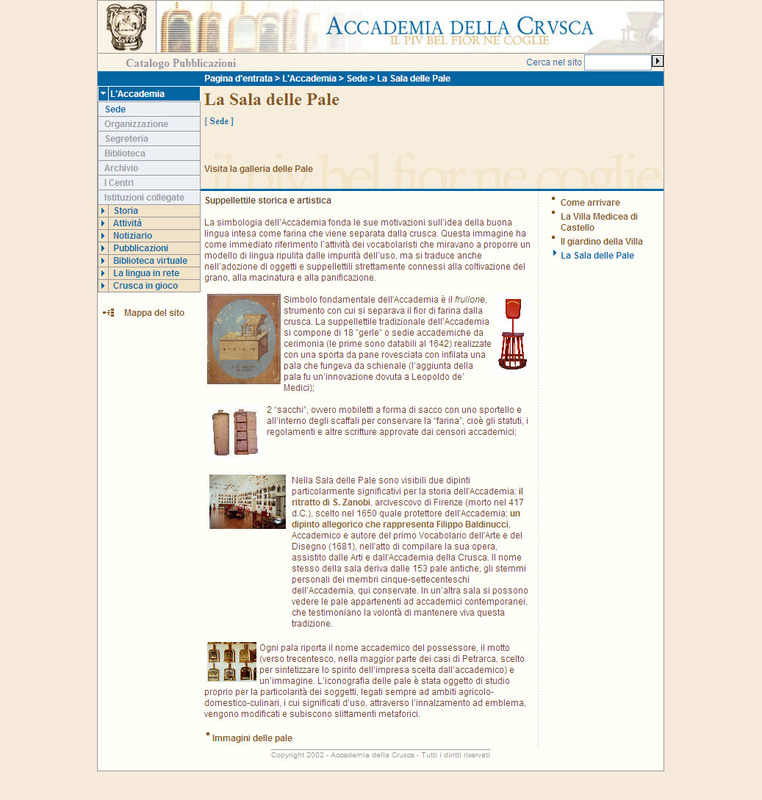 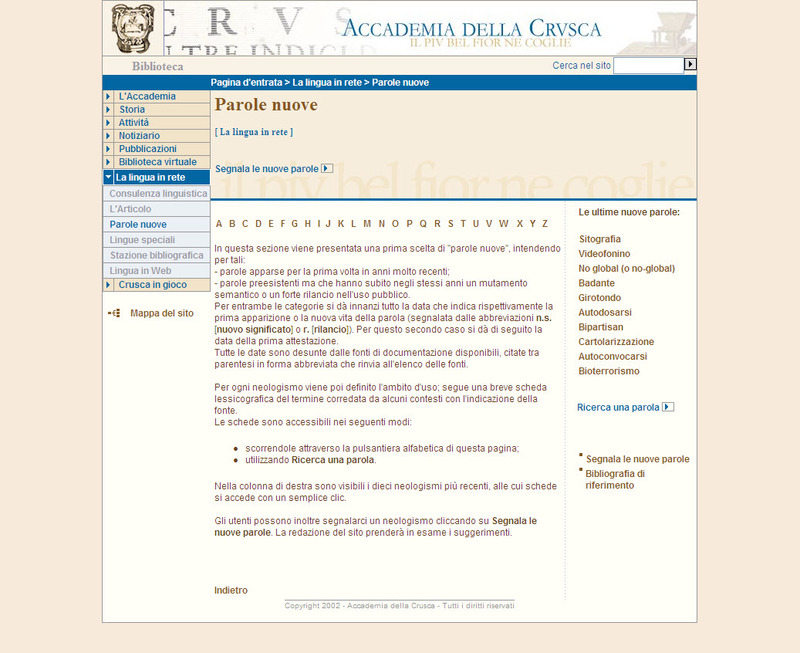 A portal for the Italian language. 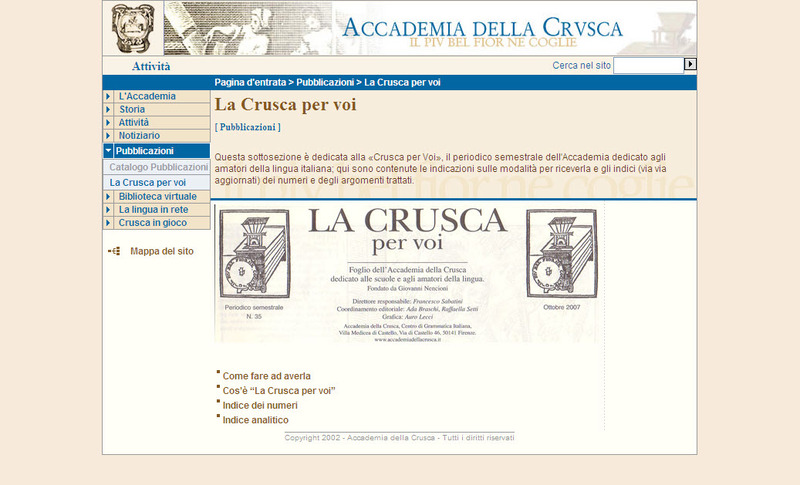 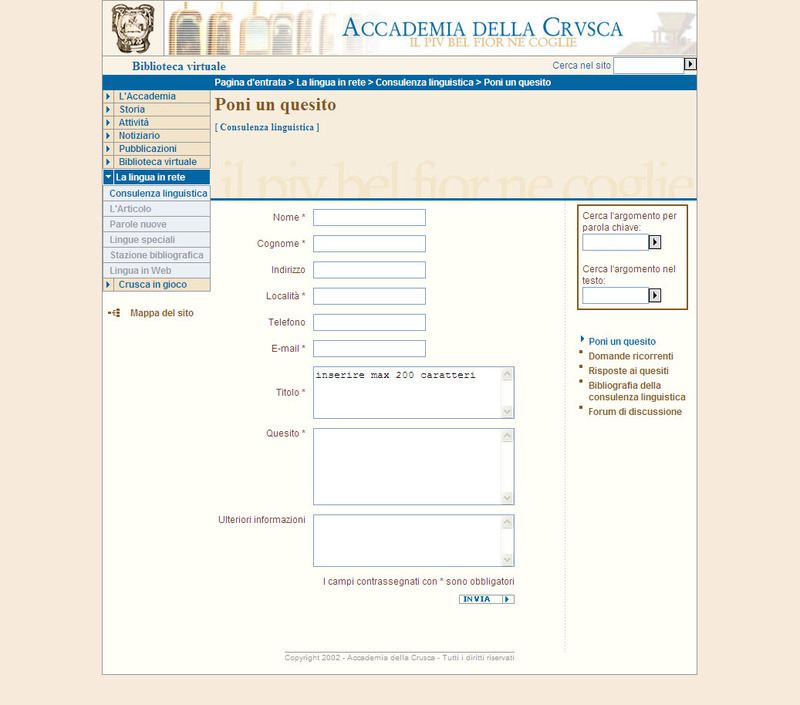 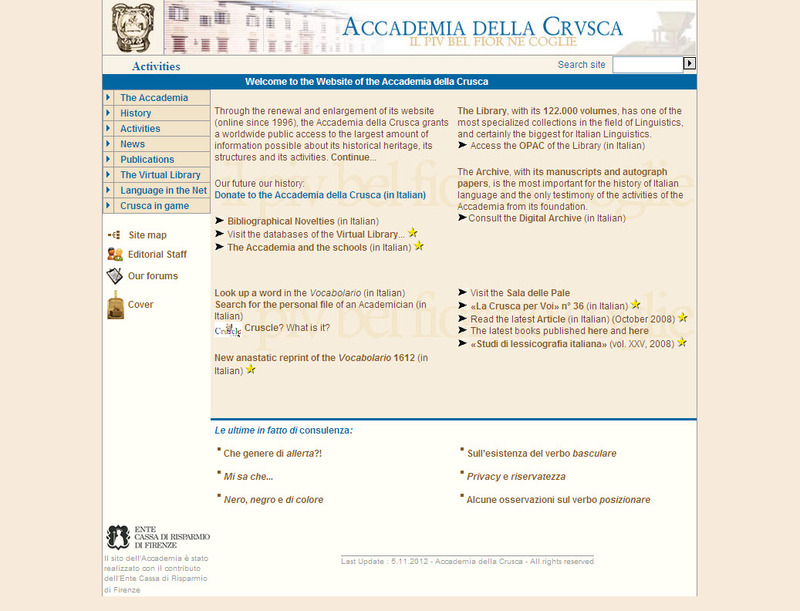 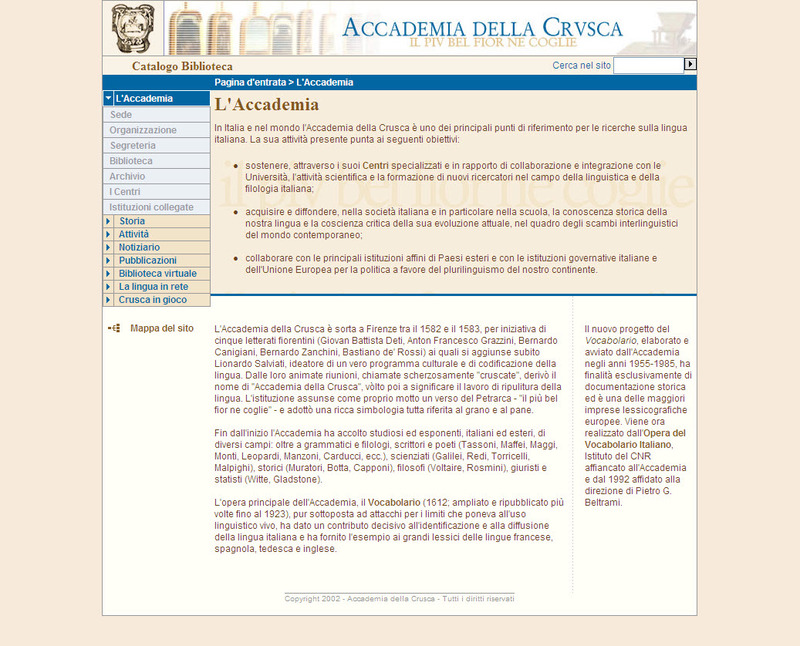 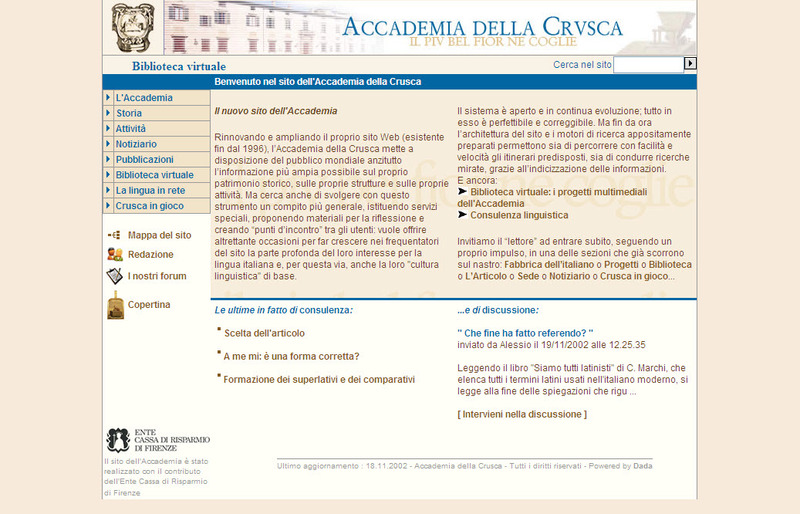 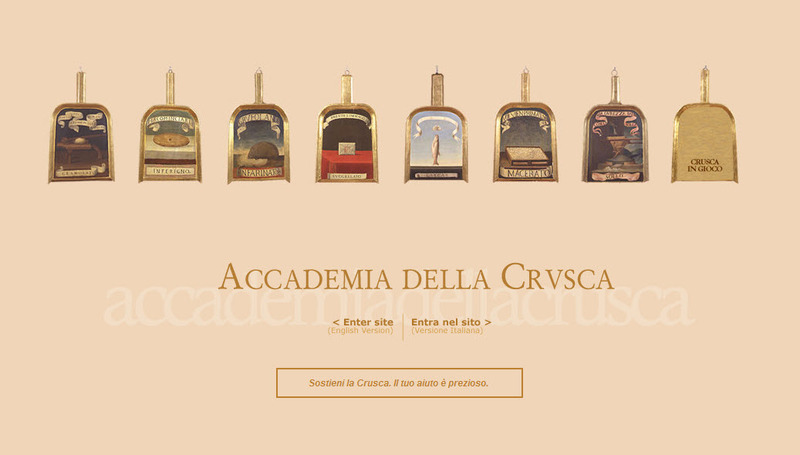 With its new website, opened in 2002, the Accademia moved from the idea of a "calling card" to that of a "portal for the Italian language". 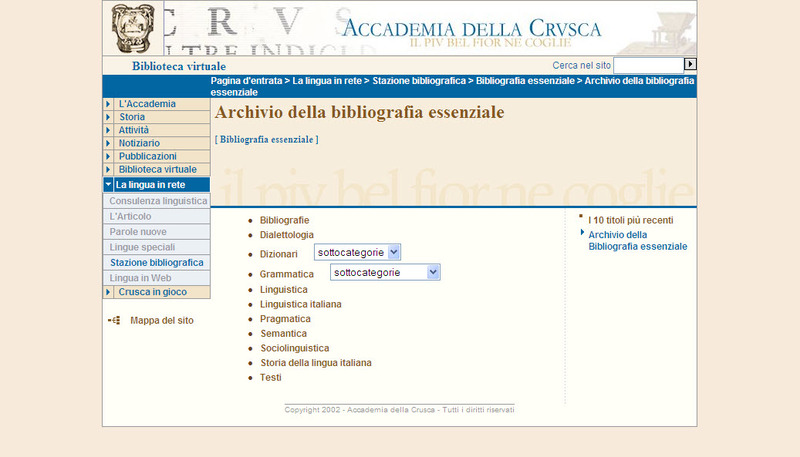 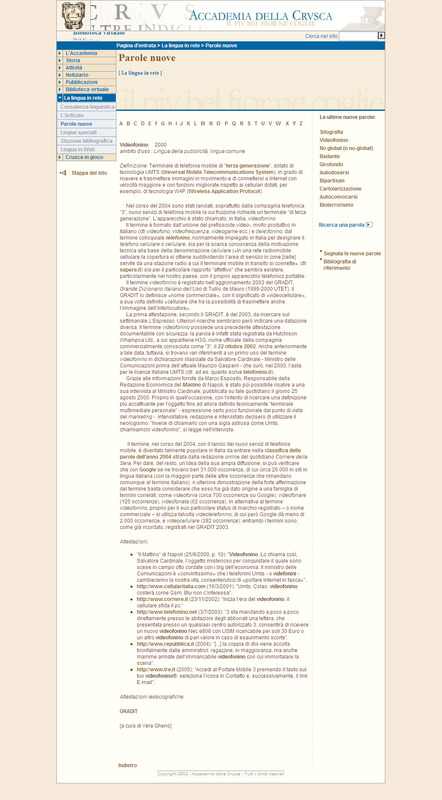 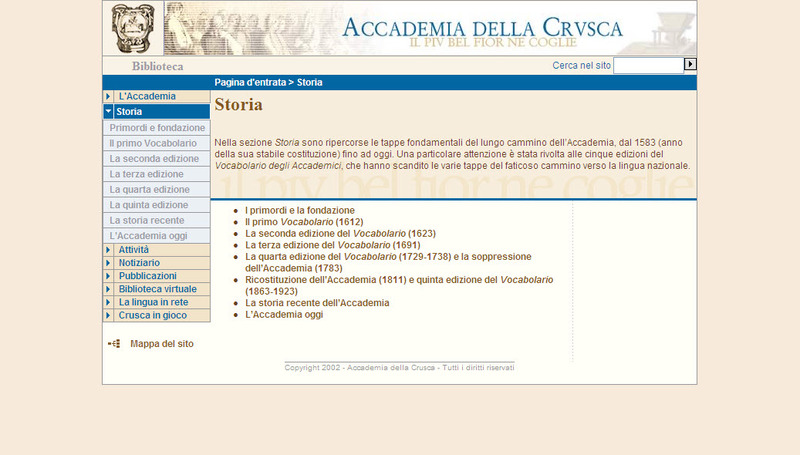 The sections dedicated to language advice, events, IT tools, digital libraries and archive became particularly prominent. 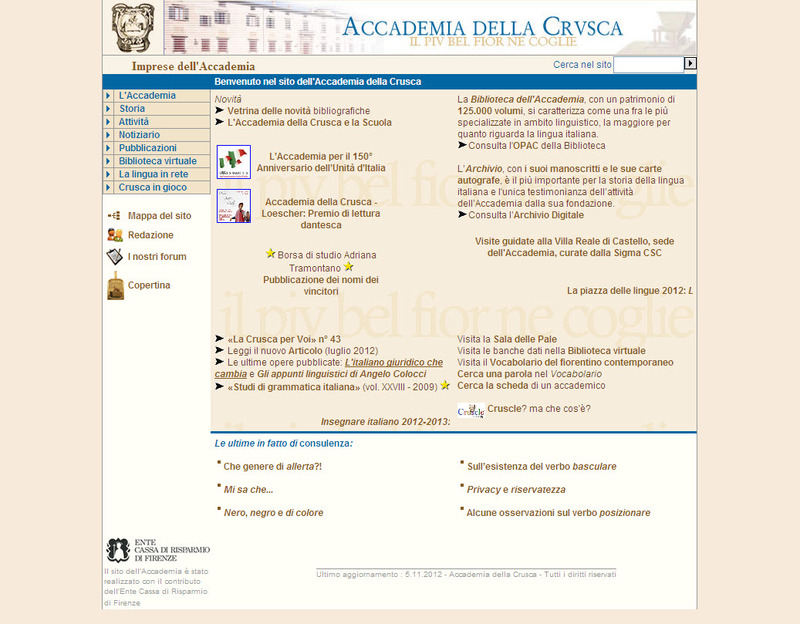 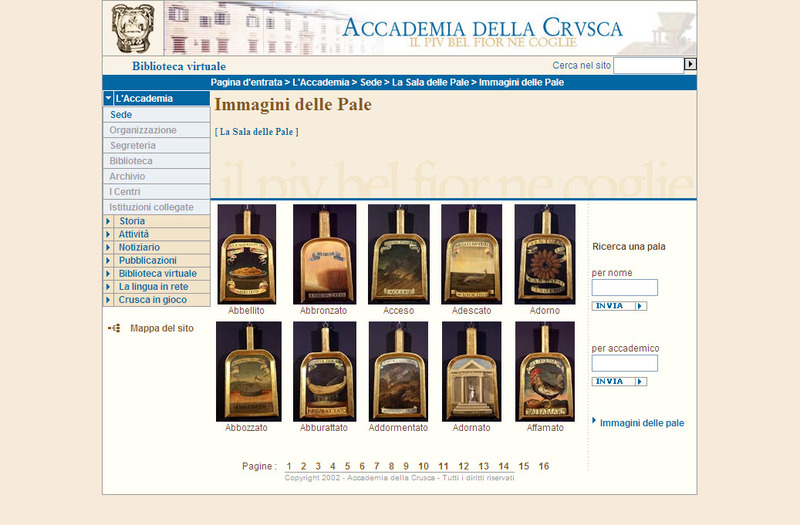 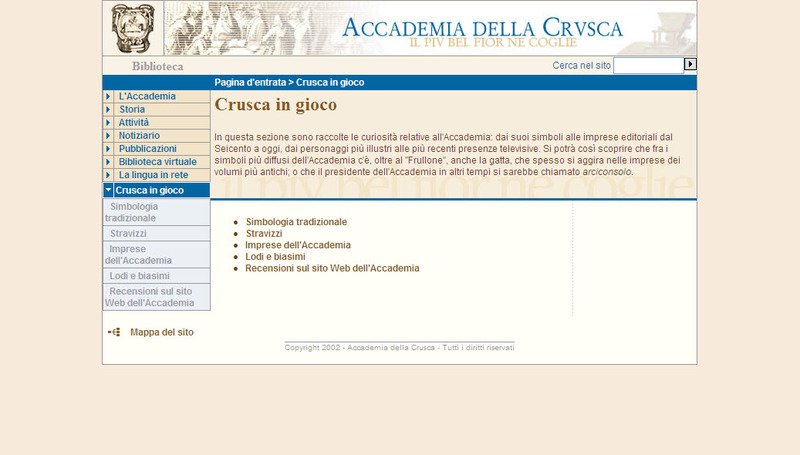 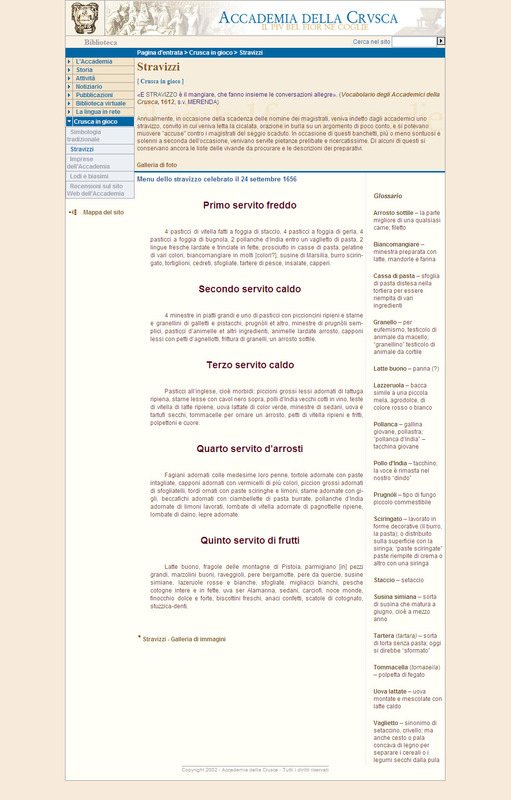 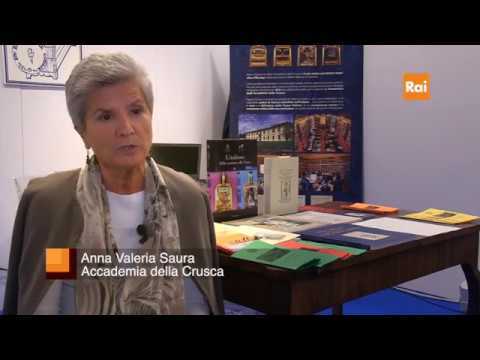 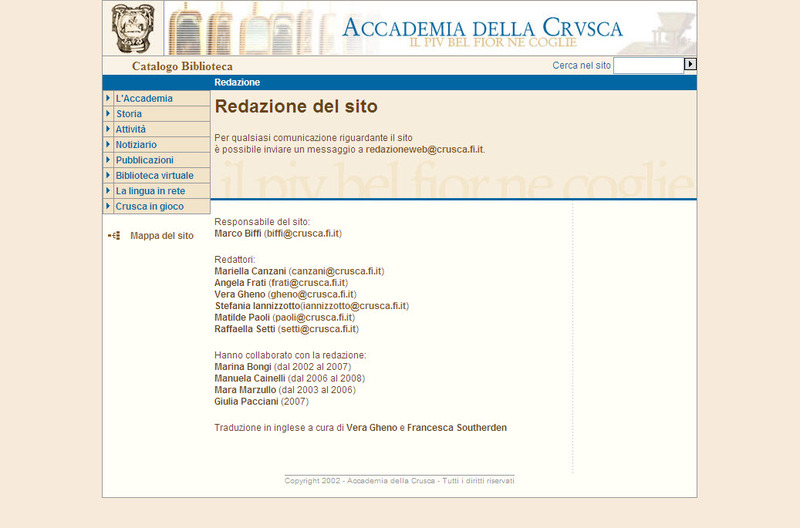 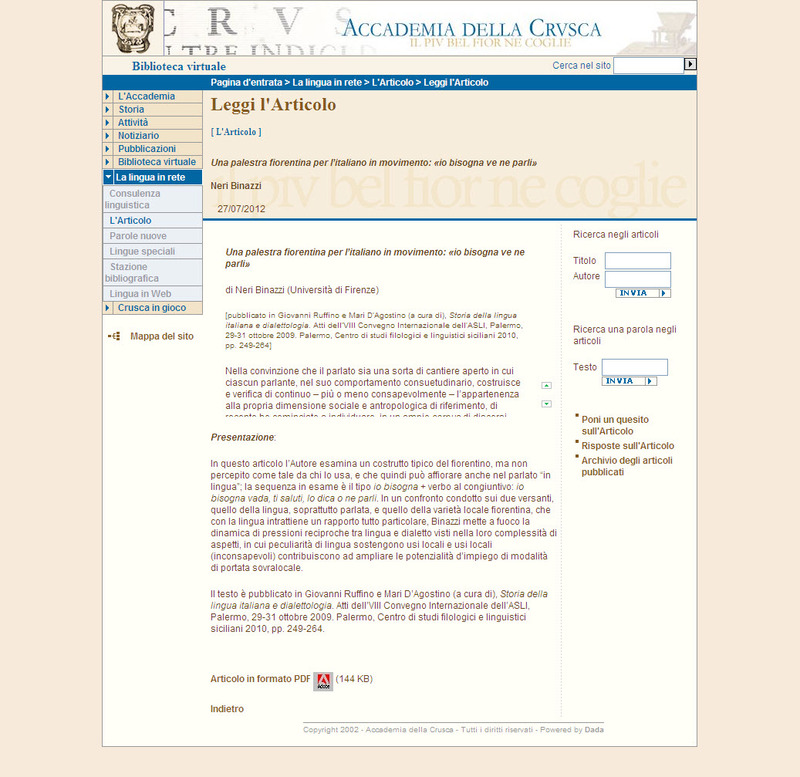 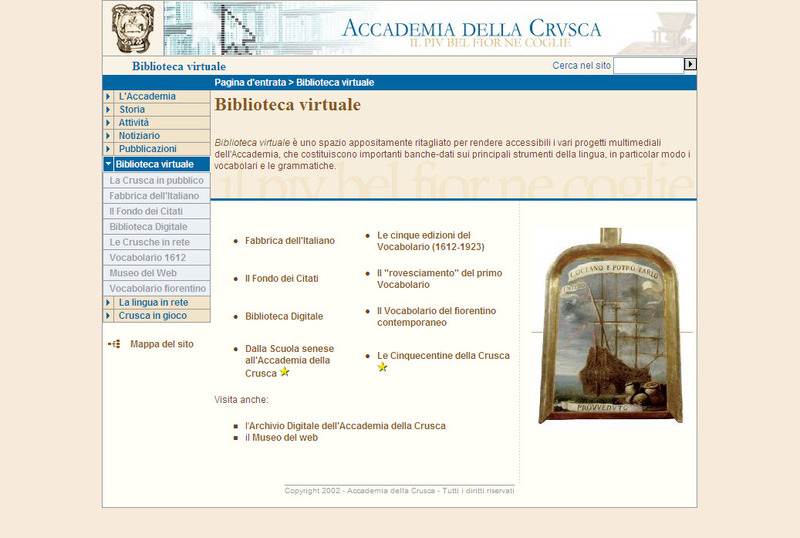 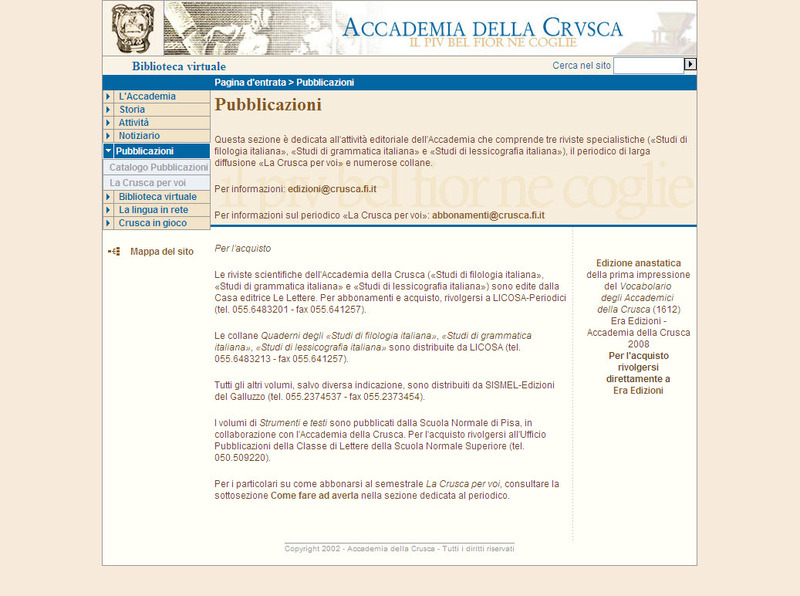 The website was developed by Dada and financed by Ente Cassa di Risparmio of Florence. 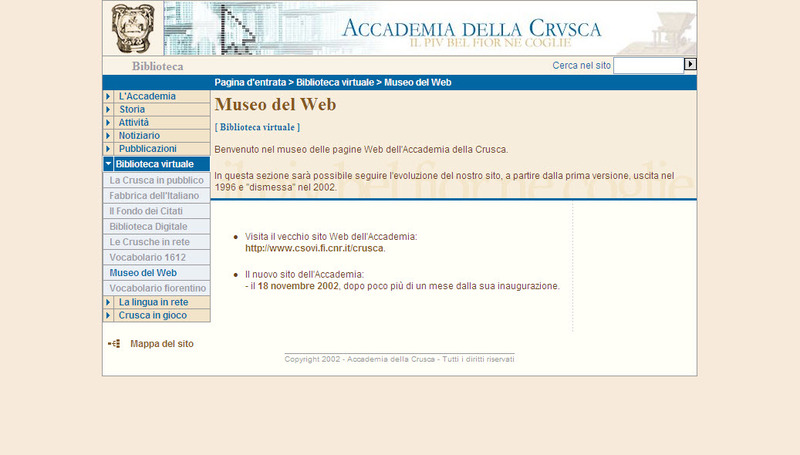 From October 2002 to December 2011, it was viewed 7,500,000 times. 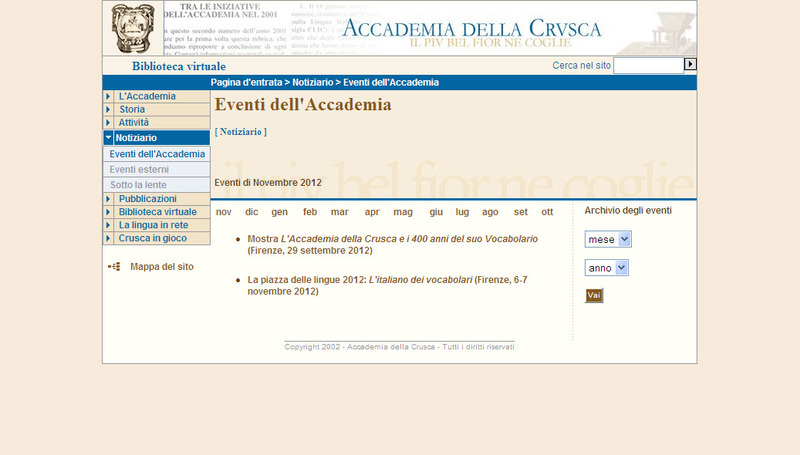 The 2012 monthly average has been 220,000 visits (more than 7,000 per day). 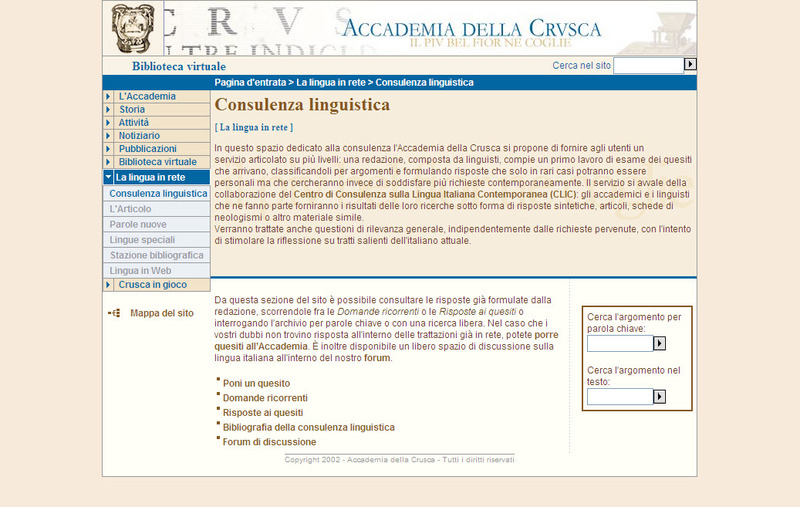 The Linguistic Advice received more than 36,000 questions in ten years.